We mainly see Robert Pattinson on the red carpet when he is promoting his films. Yesterday(October 2nd) he attended the 'High Life' premiere during the 56th New York Film Festival at Lincoln Center. 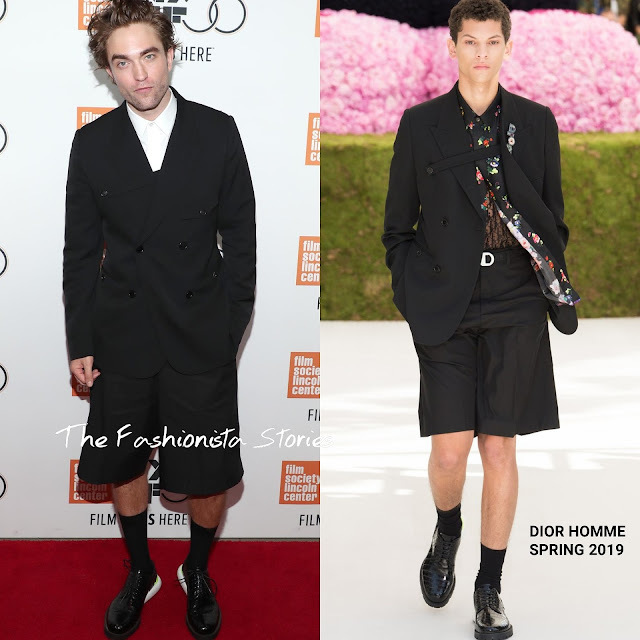 As the brand ambassador for DIOR HOMME, she his look is from the fashion house. He was a SPRING 2019 black asymmetrical strap blazer with a white shirt underneath, Bermuda shorts and black leather sneakers. What I like about this look is how fresh and modern it feels. It's so different from the traditional boring black, navy & grey suits that we see from a lot men on the carpet. I am not sure that I would like this on anyone else other than Robert. Do you agree?